Researchers have brought us closer to a future of low-cost, flexible electronics by creating a new "spray-on" digital memory device using only an aerosol jet printer and nanoparticle inks. The display industry continues to rapidly change and seek new markets. Long term trends are still prevalent and shape global activity. Flexible OLED displays have been in the making for the past several years. We have already witnessed many prototypes but the technology challenges have persisted and prevented full scale commercialisation. The technology challenges are now nearly solved and all the pieces of the puzzle are coming together. Already, we have seen mass manufactured mobiles phones on plastic substrates as well as examples of commercial curved (not yet fully flexible) displays. IDTechEx recently attended the SID Display Week 2014 in San Diego, California. Here, IDTechEx summaries the latest developments from the display world, covering (a) activity by Chinese companies such as BOE, which are transforming the OLED and the display business landscape; (b) flexible displays including the latest work by AUO, BOE, Samsung and LG; and (c) wearable electronics. Organic Semiconductors: So Where Now? Organic semiconductors have been in development for around two decades but are not used in any commercial product today, despite heavy investment and research efforts. This article discusses the early promise versus unmet expectations from this technology. PragmatIC Printing Ltd has announced a new family of flexible IC (integrated circuit) products designed to mirror the functionality of the de-facto standard 7400 series. In the previous article we looked at the size of the RFID market and how printed electronics was impacting the manufacturing of antennas for RFID tags. 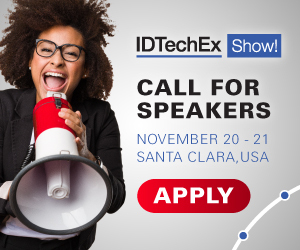 In this article, IDTechEx explores the latest progress in replacing the silicon chip in an RFID tag. 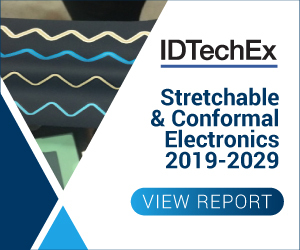 According to a new RFID sector survey by IDTechEx Research, the RFID market will increase from $6.98 billion in 2012 to $7.88 billion, and will reach $23.4 billion in 2020. This includes tags, readers and software/services for RFID cards, labels, fobs and all other form factors - for both passive and active RFID. Unprecedented feat points toward a new generation of energy-efficient electronics. Oxide semiconductors- where do they fit? Several major trends have been driving technological innovation in the display industry since its early days. These trends include image quality, screen size, portability and form factor. These have determined the direction of technological innovation and shaped entire value chains.